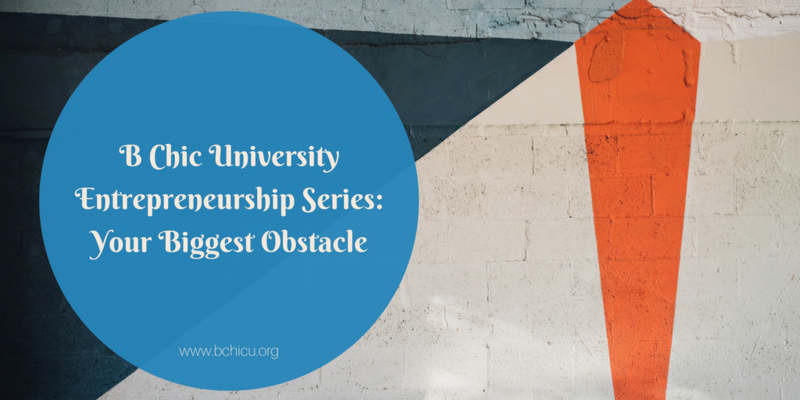 Welcome back to the Entrepreneurship Series on B Chic University. Up until this post, we’ve discussed many useful tools and strategies to get your business off the ground. Now that November is wrapping up, hopefully, you’re ready to launch (at least) an introduction to your brand. This is a lot to work on and I know it can get discouraging, but remember why it is so beneficial to have a side hustle. Starting a business can also be daunting regardless of the wonderful benefits. Building your side hustle is a huge responsibility and what if you fail? That’s a perfectly normal concern to have, but you can also equip yourself with the tools and strategies to overcome the fear of failure. Businesses really do fail every day, and that includes side businesses and full-time businesses. Unfortunately, the main culprits of these failures lie in poor financial management and organization. These are totally avoidable things that you can research and plan to avoid. Put plainly, your biggest obstacle is yourself, and here are a few tips on how to avoid self-sabotaging with a bit of strategic organization. A bit of hard work goes a long way and with most things, time is your friend. You must realize that we live in a world of instant gratification. Business growth does not. It takes months and years to build a profitable and sustainable business. Although you may be fortunate enough to have many clients in the first month, strategic planning and promotion will keep them coming over the course of the year and beyond. Did you know that banking institutions will not consider a business loan for someone who has not been operating for at least a year? You have to put in a year’s worth of finances, time, and promotion in order to prove yourself worthy of a business loan. So what does that tell us? You must be willing to put in time and consistent hard work before truly reaping any benefits. If you can withstand the test of time, you’re on the right path to continued success. I preach about this every blog post, but it’s true. A checklist, planner, weekly plan, monthly plan….whatever your organization tool, will save your life. There will always be multiple moving parts in the process of building a business. You are liable to forget many tasks at hand, miss deadlines, and drop the ball. Keeping your workload organized and planned will be a tremendous help. Having a planning system as simple as a daily checklist will help you strategize for promotion, regulate your cash flow, and manage everyday operations. There are many options to choose from and my favorites are the weekly checklist, Passion Planner, and Trello. Your time is literally money to be made. Don’t waste it on poor management that leads to overall business failure. I believe in productivity hacks that allow us to optimize our time and efficiency. Here’s a few to try out in conjunction with your planning system. The Ivy Lee Method – This is a strategic checklist that allows you to hone in on your daily priorities to maximize your time. Each night, you outline 6 tasks to complete the next day. No more, no less. It’s been proven that 6 tasks optimize your time without overwhelming you. Zero Sum Day – this technique is a way to allocate your time. It always seems as if there aren’t enough hours in the day, but surprisingly, we abuse much of our free time. Make a chart of each waking hour of your day. Assign something to each hour or half hour increment. Be sure to remember to include breaks, leisure time and meals. You’ll be surprised by all the time you actually have to be productive. The hard part? Actually sticking to the schedule. Pomodoro Technique – in relation to planning out every waking hour, it may be hard to concentrate or focus without being distracted and falling behind schedule. This technique is perfect to combine with the Zero Sum Day in order to stay on track. Set a timer to work intensely for 25 minutes. Allow no distractions to take you away from your work. Then, take a 5-minute break to decompress and give your mind a rest. Continue this cycle for all of your work, even if it’s splitting up a larger project scheduled for more than 30 minutes. AM/PM Files – presented by Elizabeth George in Beautiful In God’s Eyes, I learned of the benefits of waking up earlier and productively using evening time as well. Your days have so much unlocked potential when properly planned. Think of a few key tasks that can be done in the morning right after rising and at night, right after dinner. Your “files” become daily and weekly tasks that you want to consistently work on in an organized fashion. One of my close friends who’s building her own brand lives by the words, Trust the Process, and it is a very powerful statement to rely on when building your business. There will be failures but you will still survive and finish stronger than you started. If you trust that everything happens for a reason, the results will be all the more rewarding after embracing the process it takes to get there. Take baby steps, follow the advice and show your passion for your business. Whether you are doing this as a hobby or taking it on full time, it is possible to work for yourself, make money for yourself and enjoy your work!